This was a fun read and the twist and turns will keep you turning the pages. You will not want tout this book down. Such a fabulous story. Can’t wait to see where it leads next! Survival of the Fritters is a cute start to a new series, with characters you care about and a quaint small town Wisconsin setting. Cops and donuts go together like cozy mysteries attract quirky characters. Ginger Bolton has mixed up a delicious new series for us to enjoy. The author is very talented in her descriptive writing and while reading the book, I felt like I was in the donut shop, with all of it’ doughy goodness. It made me hungry for my own donuts. The mystery of who killed Georgia is quite involved and goes back many years. The clues that eventually lead us to the killer are not easy to decipher and lead the reader down various paths until the truth is revealed. The author tells a fascinating story and keeps the reader’s attention from beginning to end. This is a good start to a new series, with enough introduction and backstory to make you want to know more about the characters, and a great plot to boot. This was a fabulous start to a new series. I enjoyed the characters as each one was introduced and feel that this is a solid foundation for more books to come which I am interested in I must say. I loved everything about this mystery and found myself guessing until the very end. Relationships, friendships, and even the hint of a future romance are elements that I loved. This book was a smashing hit for me! 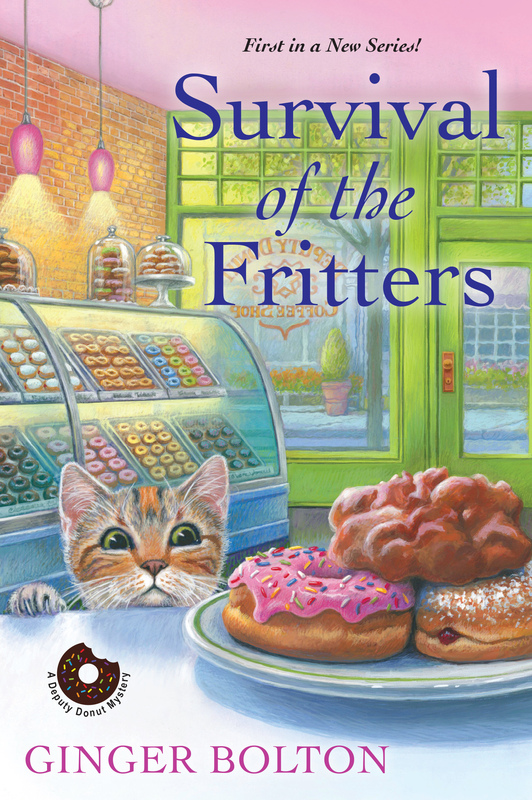 Survival of the Fritters was a super fun and yummy read. I enjoyed all the characters and look forward to many more books in this new series! A mystery book with cats and donuts involved always sounds great, imagine if the main character is sharp, bold and has a big heart, we can not ask for anything else! Survival of the Fritters is a quick reading cozy mystery with a handful of suspicious characters–and bonus recipes. A fine start to a new series. This was a delightful mystery filled with charming characters that hosted such friendships, it felt as though I had known the Knitpickers for years and Emily is smart with a hint of sass. I enjoyed this mystery because it was a little different than most. There were very few suspects in this story, so I was left wondering who could be the killer. This was such a delightful and solid debut for any fan of cozy culinary mysteries that you will definitely want to look for! I enjoyed this book. The characters are interesting. I enjoyed Emily, Brent, Lois, Tom and the rest. They’re well-developed and well-written. The mystery is intriguing with many twists and turns. There were several different possible outcomes and it wasn’t easy to figure out. Ginger Bolton writes the Deputy Donut mystery series –cops, crime, coffee, donuts and one curious cat. 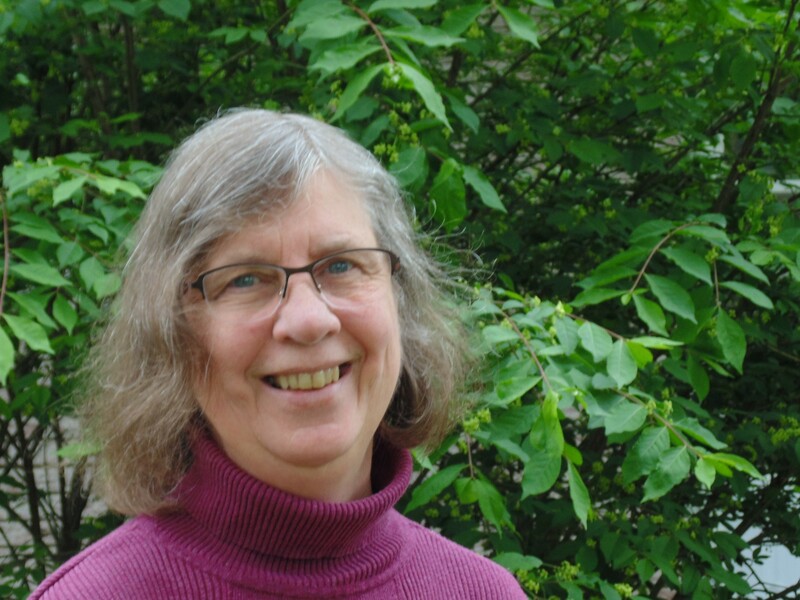 When Ginger isn’t writing or reading, she’s crocheting, knitting, sewing, walking her two rescue dogs and generally causing trouble. She’s also fond of donuts, coffee, and cafes were folks gather to enjoy those tasty treats and one another’s company. January 24 – Queen of All She Reads – REVIEW will be posted soon.